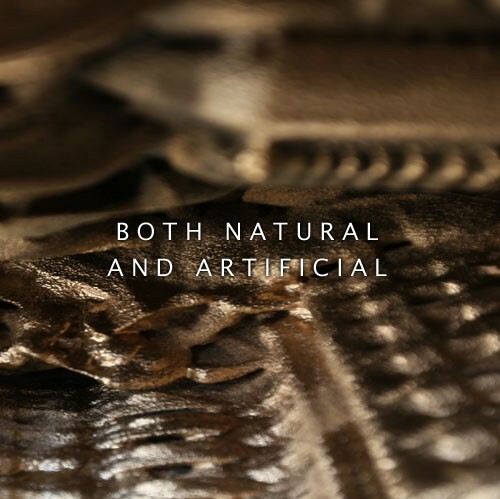 We aim to create an architecture that defies classification and reductionism. We explore unseen levels of resolution and topological complexity in architecture by developing compositional strategies based on purely geometric processes. 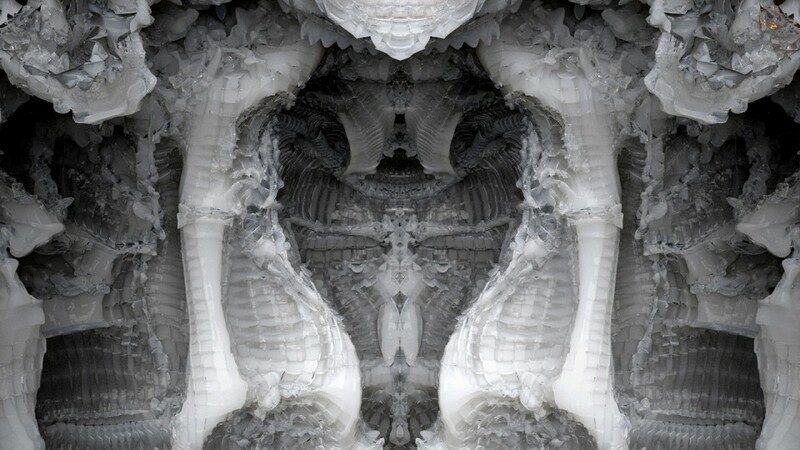 In the Digital Grotesque project, we use these algorithms to create a form that appears at once synthetic and organic. The design process thus strikes a delicate balance between the expected and the unexpected, between control and relinquishment. The algorithms are deterministic as they do not incorporate randomness, but the results are not necessarily entirely foreseeable. Instead, they have the power to surprise. New materials and fabrication methods have historically led to radical changes in architectural design. They have indeed been primary drivers in its evolution. 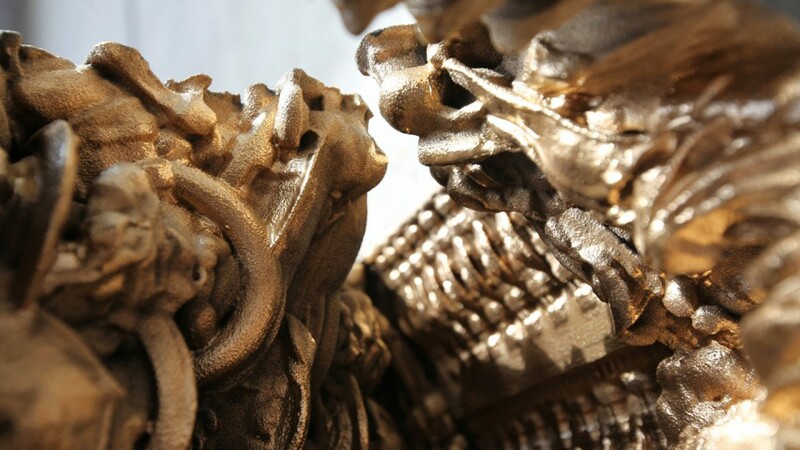 Today, additive manufacturing heralds a revolution in design. 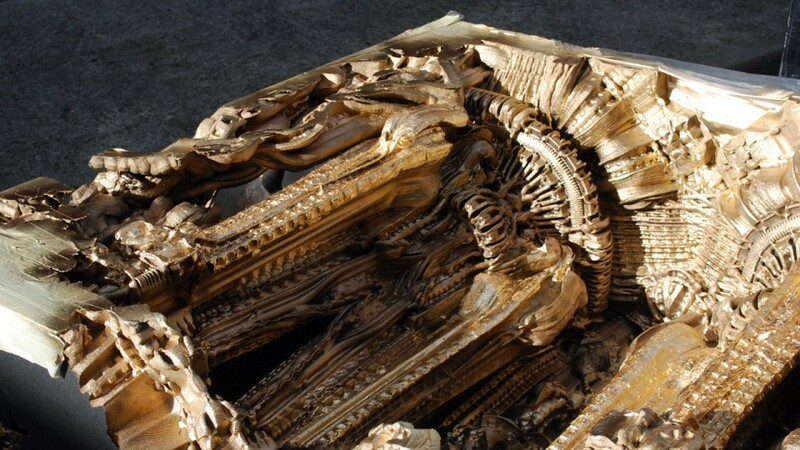 Yet in architecture, this technology has up to now been used only for small scale models. 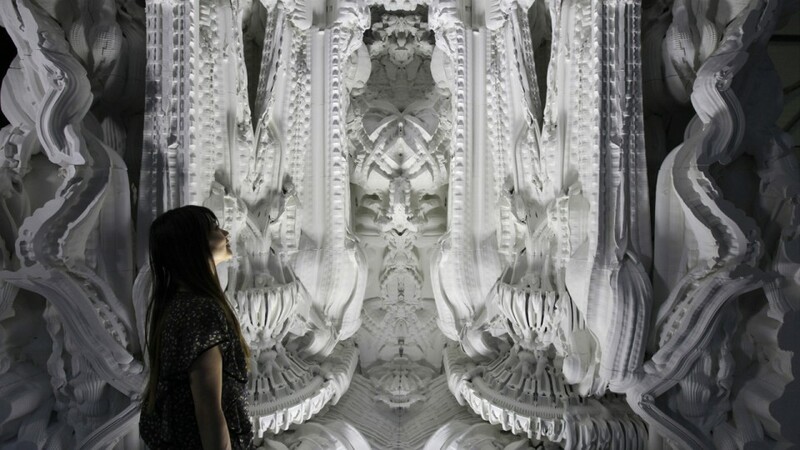 Digital Grotesque takes additive manufacturing technology to a true architectural scale. 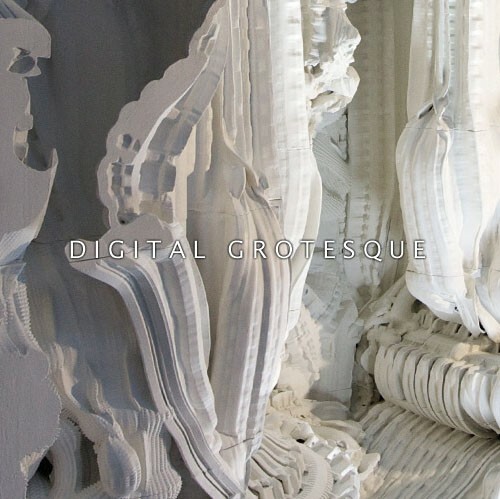 Digital Grotesque presents a fully immersive, solid, human-scale enclosed structure with a perplexing level of detail. Its geometry consists of hundreds of millions of individual facets printed at a resolution of a tenth of a millimeter, constituting a 3.2-meter high, 16 square meter large room. 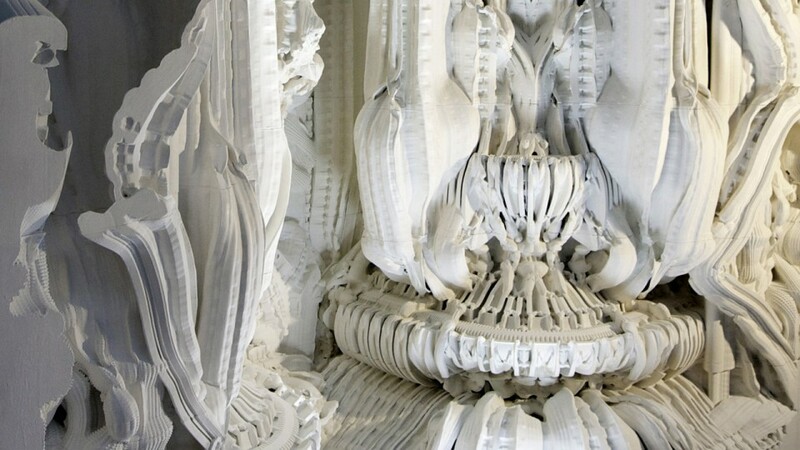 The potentials of additive manufacturing in architecture are enormous. 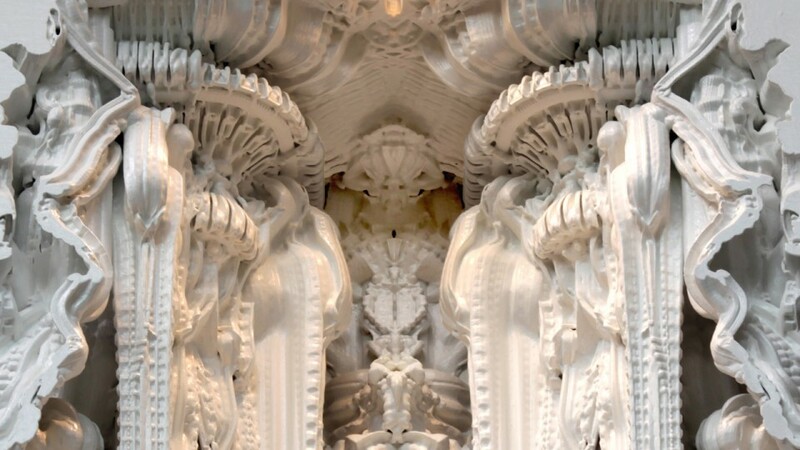 Architectural details can reach the threshold of human perception. 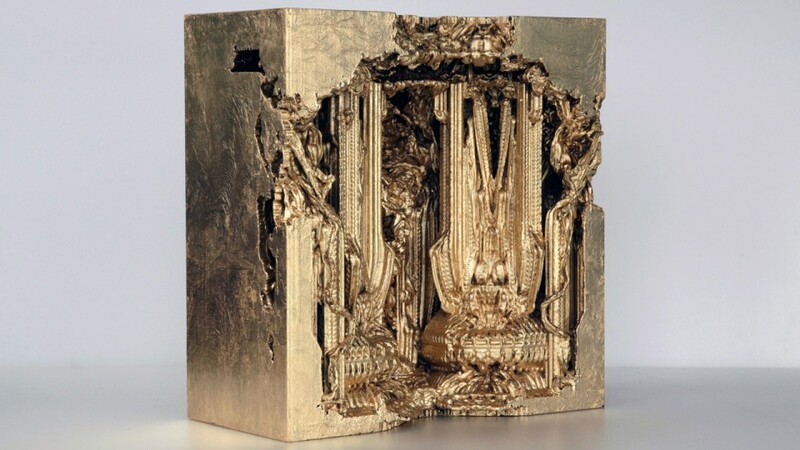 There is no cost for complexity: printing this highly detailed grotto costs the same as printing a primitive cube. 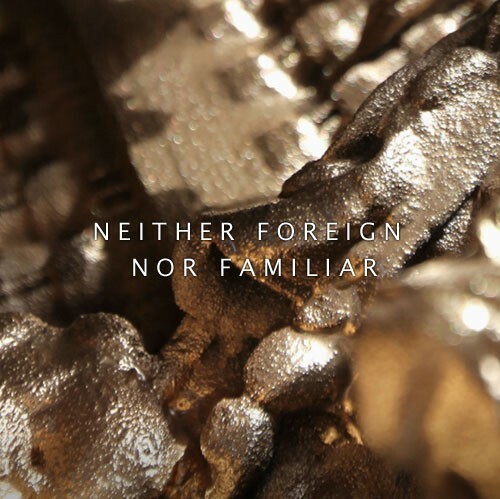 Nor is there a cost for customization: fabricating highly individual elements costs no more than printing a standardized series. If you say to the brick, “Arches are expensive, I can use a concrete lintel over an opening. 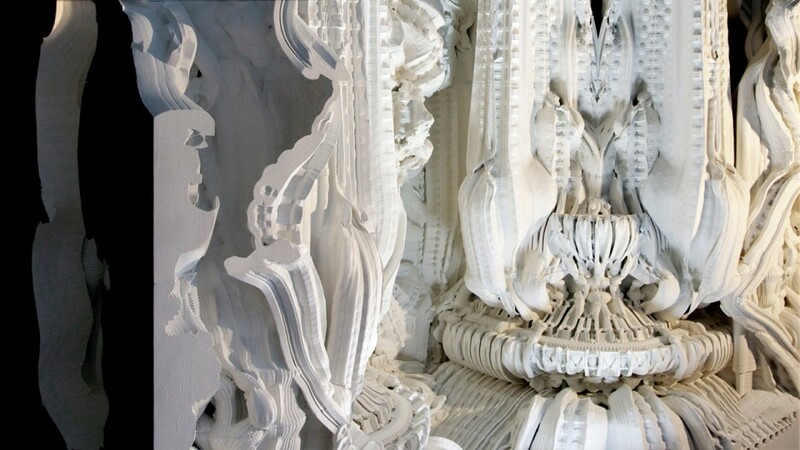 In computational design, the architect no longer develops form using pen and paper or by mouse in a CAD program, but instead defines procedures to generate form. Shifting the design process onto this abstract level has a dramatic impact: Forms can be designed with a complexity and richness that would be impossible to draw by hand. 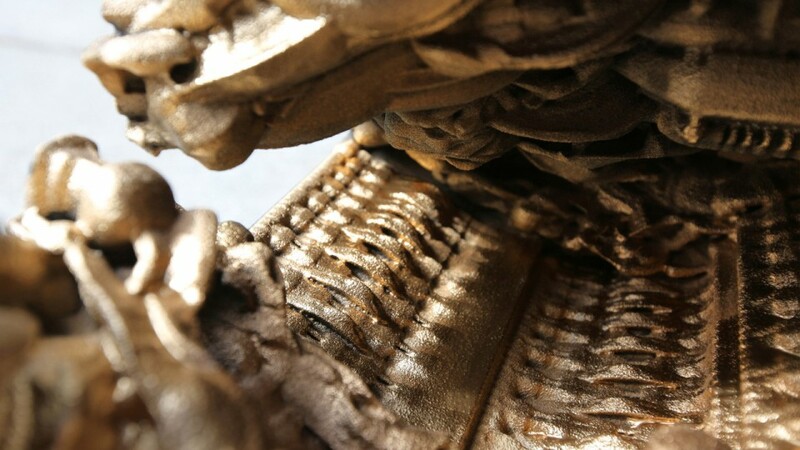 Now these complex forms can be brought out of the computer using additive manufacturing. Bits and bytes can be rendered directly into reality. 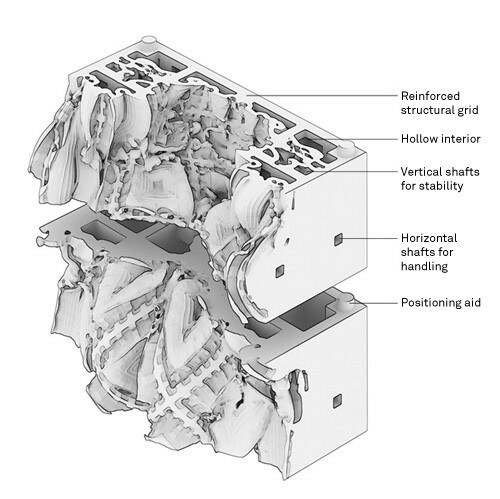 The combination of computational design and additive manufacturing can lead to a non-standardized, highly differentiated and spatially complex architecture that is defined at the scale of millimeters. 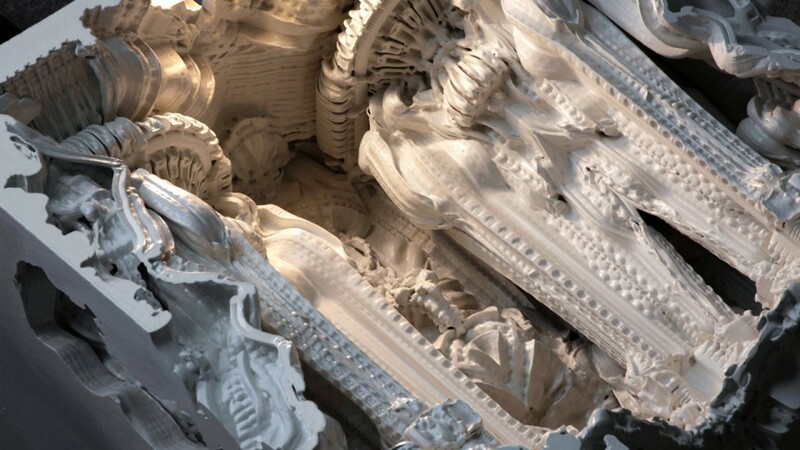 In the Digital Grotesque project, every detail of the architecture is generated through customized algorithms, without any manual intervention. A simple input form is recursively refined and enriched, culminating in a geometric mesh of 260 million individually specified facets. 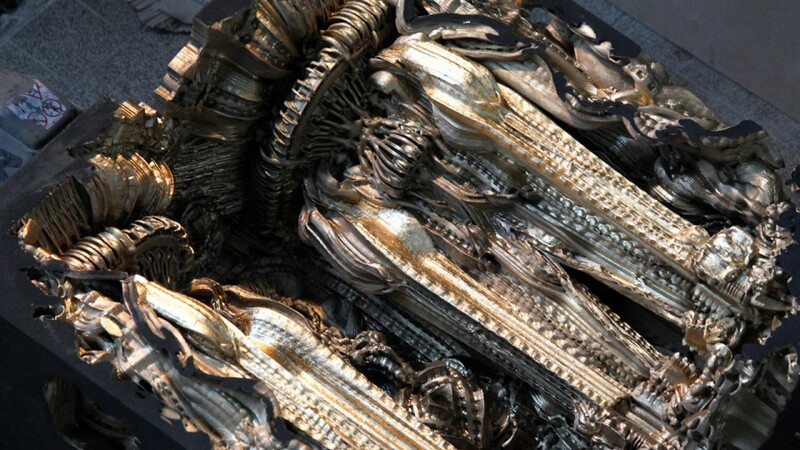 This single process generates many scales of architecture, from the overall form with its broad curvature, to local surface development, down to minute textures. 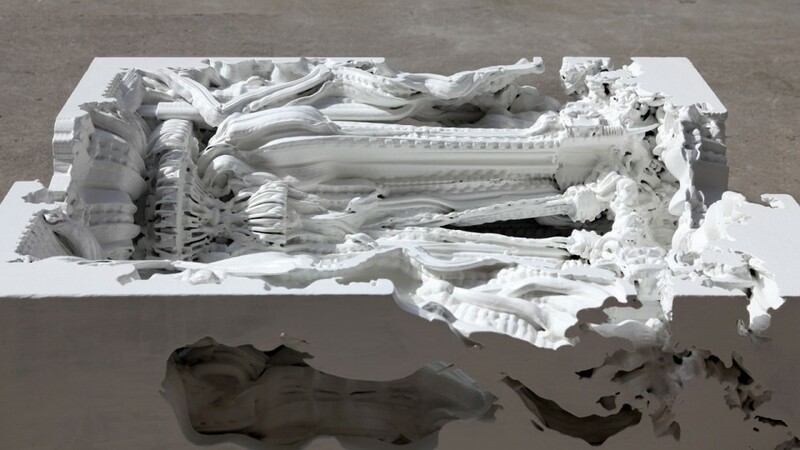 While computational geometry in architecture is often used to create volumes with smooth, minimal surfaces, in the Digital Grotesque the design goal is the exactly the opposite. A maximal articulation of the surface creates a volumetric depth, where light is reflected in million different directions and the boundaries of the architecture are spatially diffuse. 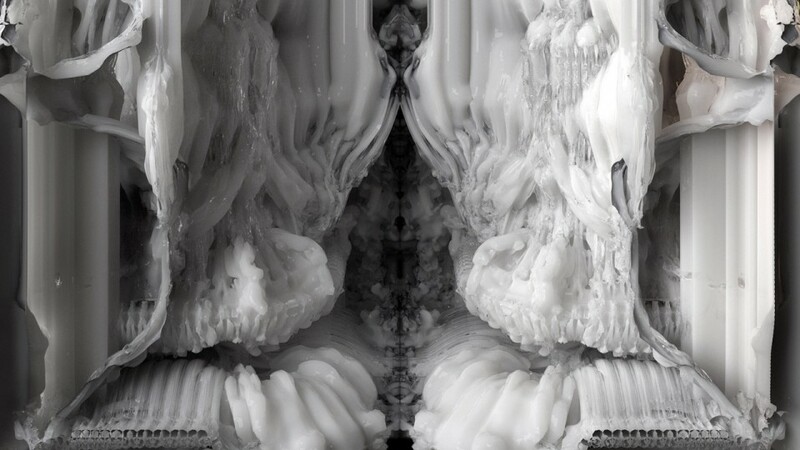 The single subdivision process produces forms that contain information at multiple scales. The closer one gets to the form, the more features one discovers. 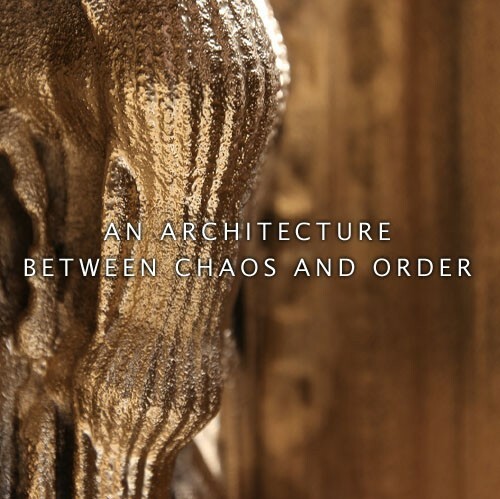 Such a hierarchical differentiation can also be found in classic architecture. 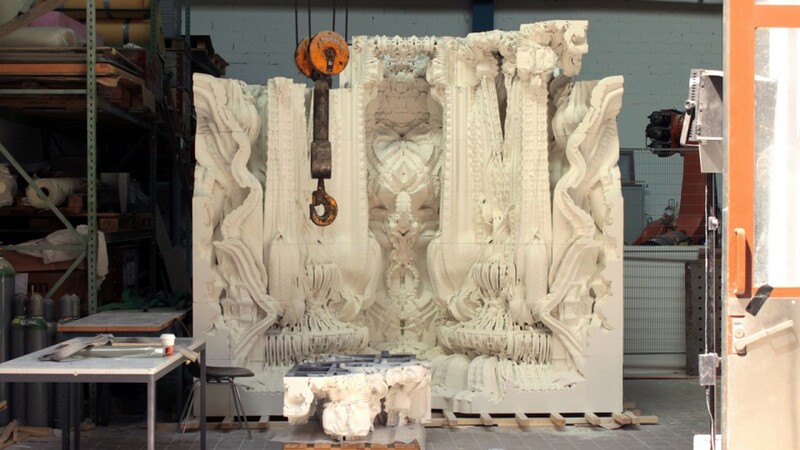 Yet unlike traditional architectural design processes, here a single process is used both to sculpt the overall form, and to create the minute surface details. This articulation can be used to create features that exceed the threshold of human haptic or visual perception that would be entirely undrawable using tradional means. 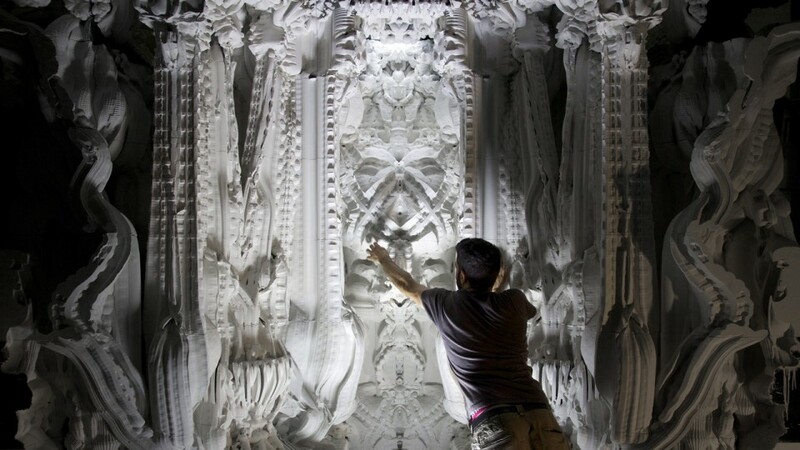 The application of 3D printing technology in architecture has up to now been limited to prototyping or producing small-scale models. 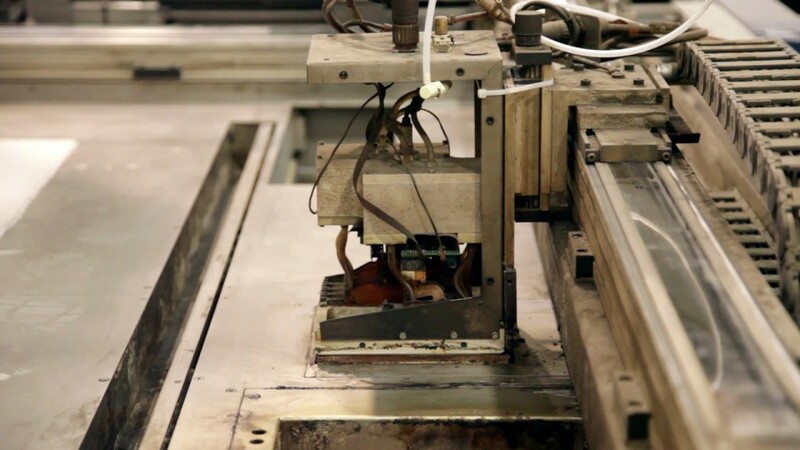 Material costs are high, machines have limited scales, and the majority of materials are not strong enough to fulfill construction requirements. 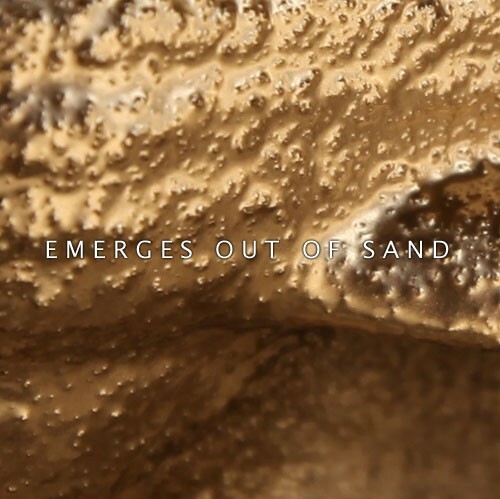 Sand-printing technology has recently emerged as an additive manufacturing technique that overcomes these limitations. 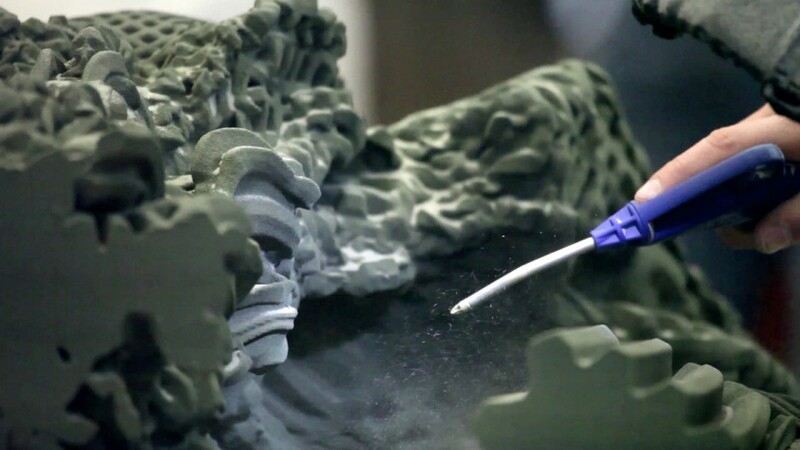 This technology is currently used primarily to create casting forms in for industrial applications. Yet it has unique features that make it suitable to create architectural components. 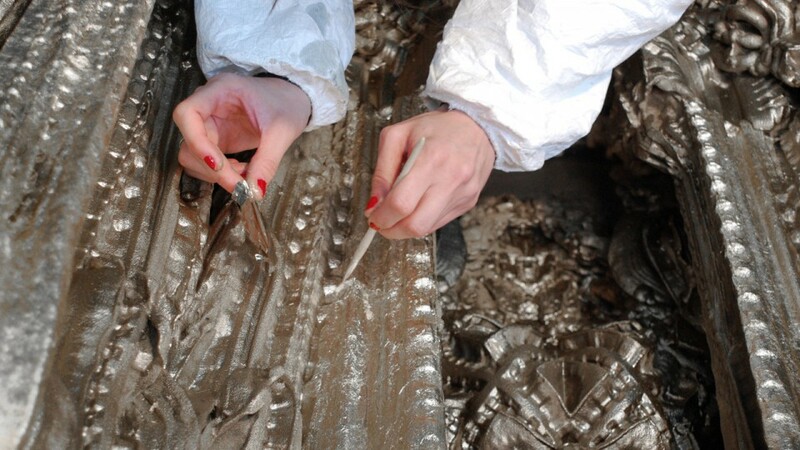 Specifically, it allows the fabrication of large-scale elements (currently up to 8 cubic meters in size) with high resolution and accuracy at a competitive price and in short period of time. 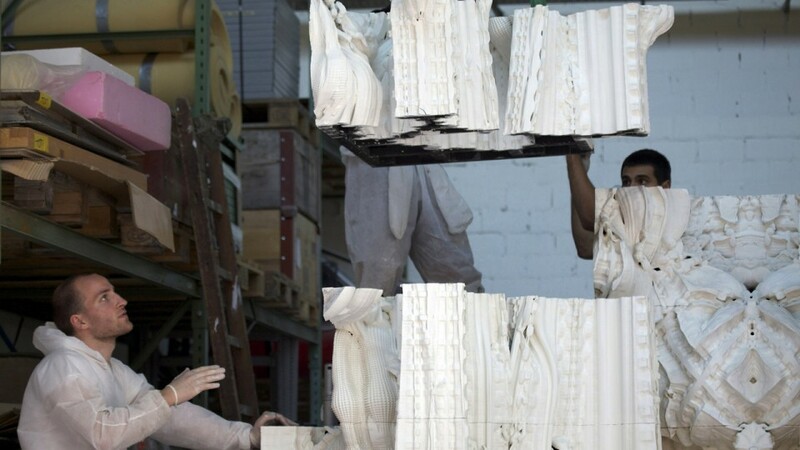 The printed sandstone elements can be fully self-supporting and can be assembled as a solid construction. Natural sandstone has been used as building material since prehistoric times. Cathedrals, temples and other ornamental structures were often constructed with sandstone, as it is a relatively soft material that is easy to work while still having structural resistance. 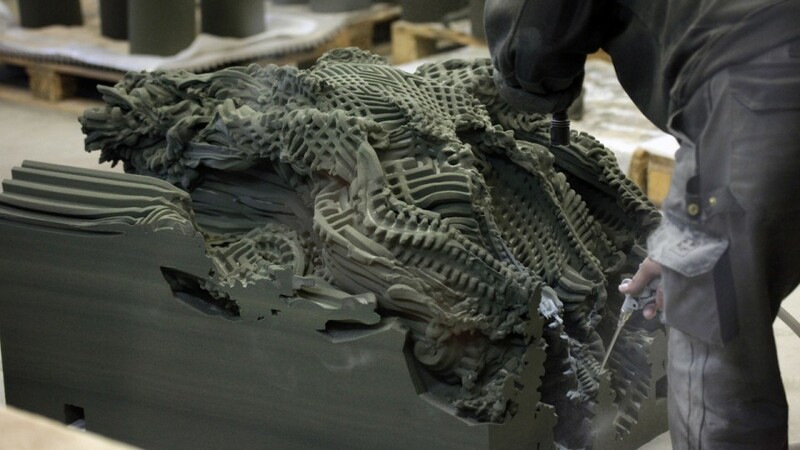 3D printed sandstone has very similar properties once it is post-processed. 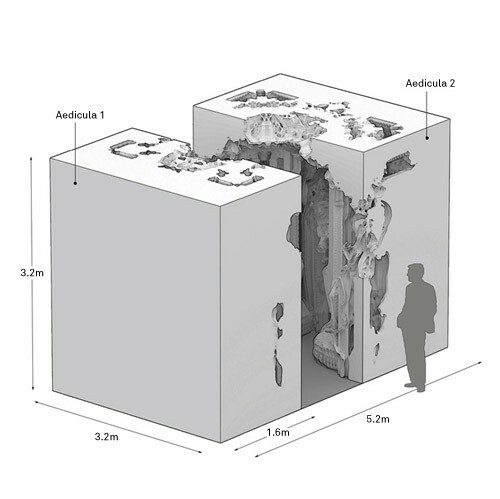 In order to further harden the micro-detailing of the grotto (local parts are thinner than 2mm) and to increase the structural stability, the printed sandstone is infiltrated with resin. 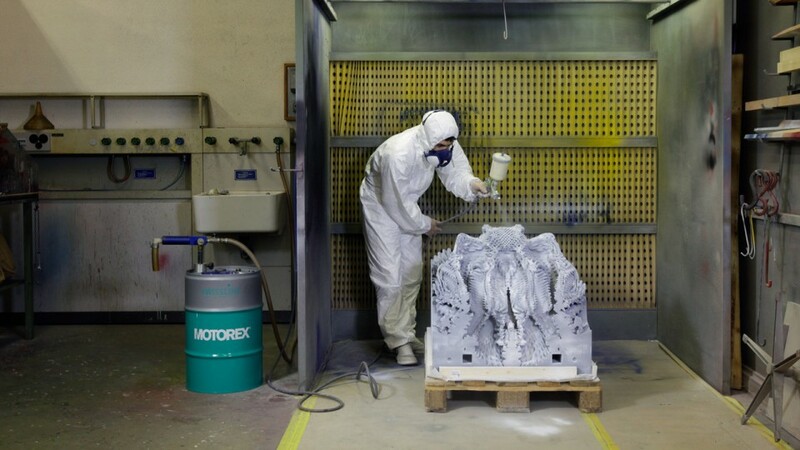 Research for the Digital Grotesque project was carried out at the Chair for CAAD at the Swiss Federal Institute of Technology (ETH) in Zurich. 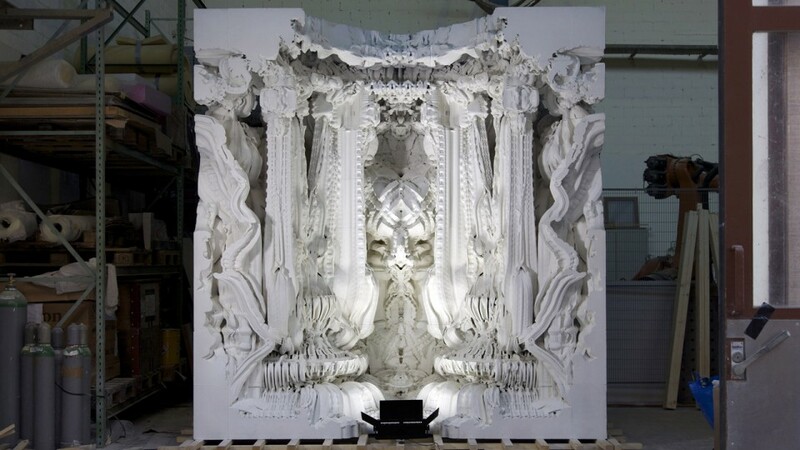 All components were printed by Voxeljet AG. 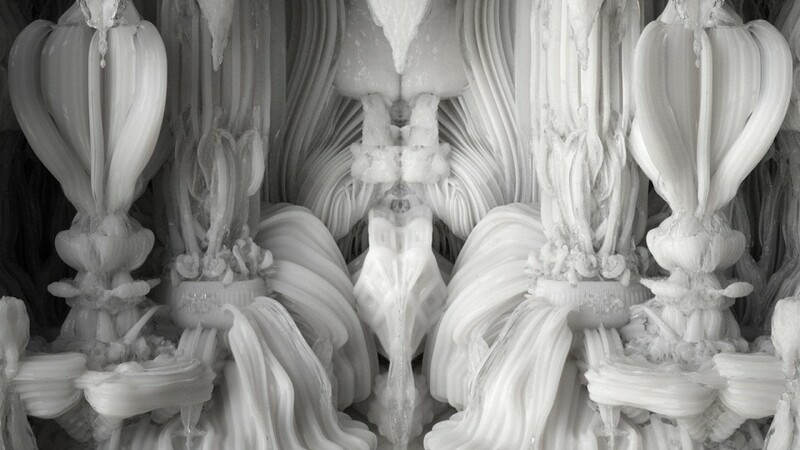 The first part of the grotto is a commission by FRAC Centre for its permanent collection.